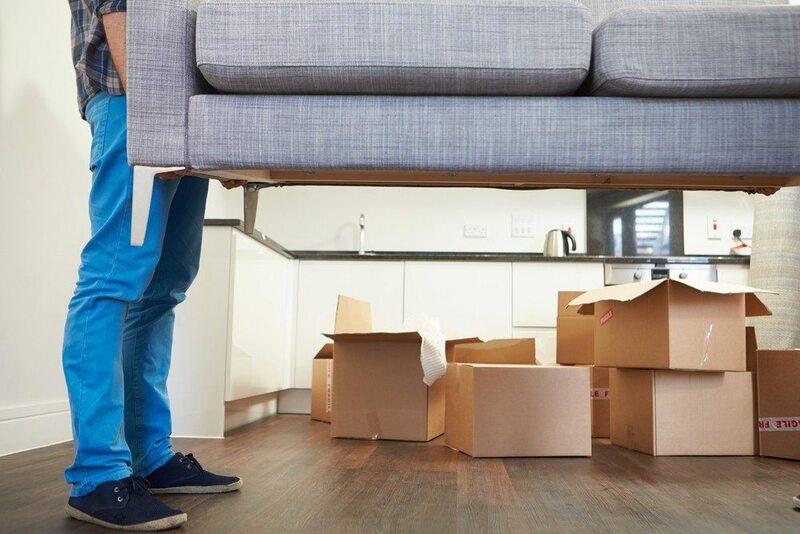 Here’s what I’ve learned from experience — moving is the worst. If you went through a move of your own, there’s no way you’d show up at a closing table with a big gift. You should move every five years; it would help the market and set a good example. Licensing law should require real estate agents and brokers to move every five years or so — like continuing education, but even worse. I’ve been doing a lot of moving. About 10 years ago, I moved out of my Manhattan apartment for a gut rehab job, and then I moved back. Then about six years ago, I finally faced the reality of growing up and moved from the city to a condo in the suburbs. Then two years ago, I put that condo on the market and moved out about a third of all my stuff into storage because of staging. Then, last fall, I finally sold that condo and moved into my mom’s house with my wife and two kids because I decided my life wasn’t horrible enough. And then, finally, last week, I closed on a new house — a house! A real house! — and moved back with those two kids, the wife, all our stuff and all the other stuff that’s been in storage for two years. Let me count all that up — one, two, three, four, five moves in 10 years. What an accumulation of joy. Here’s what I’ve learned from all that — moving is the worst. It’s seriously terrible. All those TV commercials that romanticize the moving process and show smiling, happy people settling into their new home and the couple hugging while they watch their kids play in the yard? It’s all lies — damn lies. Here’s the reality of moving — boxes, lots of boxes. Boxes are everywhere you look. You spend your days and nights emptying box after box, and there’s always more in the next room. Dinner is eating on upended box tabletops. Exercise is carrying empty boxes out to the garage and breaking them down. I’ve become a connoisseur of box varietals — wardrobe boxes, dish boxes, book boxes, big boxes, little boxes. And once you get past the boxes, it’s everything else. It’s no Internet and no cable because FiOS hates you and wants you to suffer. It’s eating pizza for three nights because you can’t find the box with the pans. It’s sweltering in the 800-degree heat because you can’t figure out the stupid Nest thermostat that was such a feature when you bought the place. How do I turn this on? It’s the recognition that you have too much stuff. I just found out that I have 14 cookie trays. Seriously. I have no idea how we ended up with so many cookie trays. I think they’ve been mating in my storage unit. And that’s why I believe that brokers and agents should be legally compelled to move every five years – so they understand what they’re doing to their clients. So they can confront the hard, cold reality of this horror show that they are enabling. So they have a little sympathy. Because otherwise we’ll never see it. For us, the deal ends at the closing. Deed changes hands. We get paid. It’s over. For our clients, the great nightmare is just beginning. Maybe that’s why no real estate firm I know owns a moving company. People always ask me about that — we provide mortgage, title, insurance, but why no moving company? We provide mortgage, title, insurance, but why no moving company? Maybe it’s because the last thing we want to do is remind people that we have anything to do with the horror show that is moving. I don’t want my name anywhere near that truck. I’ll tell you this: If you went through a move of your own, there’s no way you’d show up at a closing table with a big gift. If you went through a move, you wouldn’t show up at a closing table with a big gift. Seriously. A plant? You’re giving me a plant? You realize that a plant is just one more damn thing that I now have to schlep around? Why not just give me a barbell? Or a decorative anvil? Same thing with wine. Oh, great, a bottle — something that’s heavy and slippery and smashes into a million pieces if I drop it. And it’s just a tease anyway because do you know where my corkscrew is? Exactly — neither do I. You know what’s a good closing gift? Advil. Even better, heroin, if it’s legal in your state (Editor’s note: It’s definitely not). Give me something for my back, which is killing me. I mean, would you get a tattoo from someone who didn’t have any? On top of all that, think of how that would help the market. All you agents who have been living in the same home for 30 years — you’re setting a terrible example for everyone else. How are any of us supposed to make money? Churn that product, people. Back to the boxes. I know that corkscrew is in there somewhere, and I really, really need it. Joe Rand is one of the managing partners of Better Homes and Gardens Real Estate – Rand Realty in New York and New Jersey, and blogs about his local markets at the Rand Country Blog and about the industry at ClientOrientedRealEstate.com.